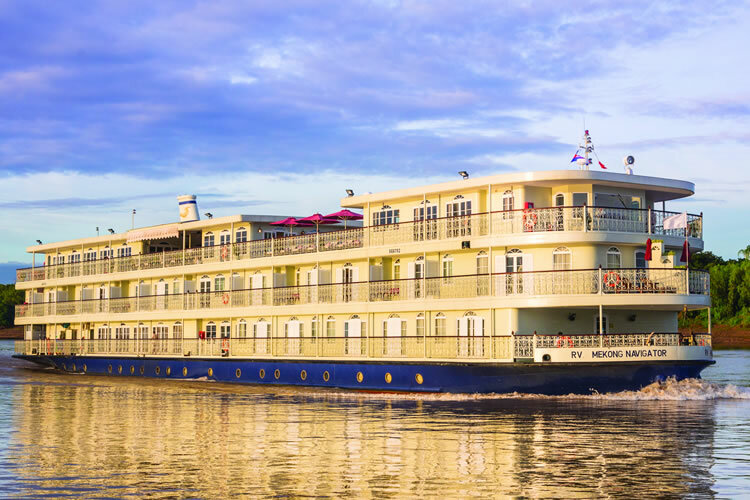 Discover the many wonders of Vietnam before boarding the Mekong Navigator for seven nights. Experience unforgettable indulgence, cruising through Cai Be and Sa Dec before crossing the Cambodian border towards Siem Reap to take in the majestic Temples of Angkor. Start the day at the magnificent and famous Angkor Wat. The temple is known for its elaborate decorations and intricate carvings throughout. It is a masterpiece to behold and will leave you breathless. Continue to the unique Ta Prohm temple which is overgrown by jungle trees. In the afternoon, visit Angkor Thom through the ancient South Gate which is lined with carvings. Continue to the impressive Bayon Temple, containing 54 towers each with four faces. Finish at the Terrace of the Elephants and the Terrace of the Leper King known for their intricate bas-reliefs. EmeraldPLUS: This evening witness the incredible Phare Cambodian Circus. Phare is an NGO founded by Cambodian refugees to assist disadvantaged young people by teaching them performing arts. The show is a spectacle of acrobatics, theatre and music themed around contemporary Cambodian life and society. 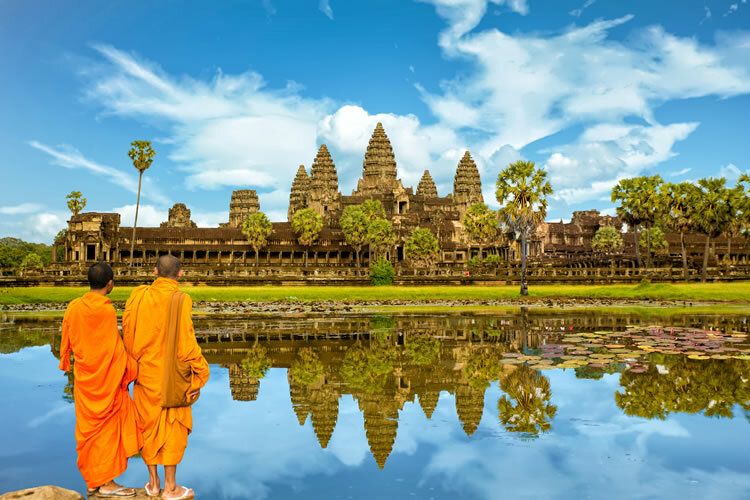 Discover More: Uncover the outer lying temples, either Banteay Srei or Beng Mealea, or take a Cambodian cooking class, or explore the Roluos temple group (additional cost). Discover More: Backstreets, temples and communities tour, or street food tour (additional cost). Travel to the infamous Cu Chi Tunnels. An ingenious network of over 200km of underground tunnels, they were built by the Viet Cong guerrillas as a means of protection, communication and deception. Join a Vietnamese Veteran and learn of the wars, strategies, atrocities and the resourcefulness of the Vietnamese which eventually led to the defeat of their enemies. Hear fascinating stories from first-hand experience to allow a real insight into one of the most famous wars of our time. Return to Saigon and spend the afternoon exploring the city. This evening enjoy a sumptuous farewell banquet. Terms and conditions apply, all offers are subject to availability and operator booking conditions. ^Itinerary operates in reverse. Fares are per person based on 2 people sharing the lead in grade stateroom unless otherwise stated and are subject to change at any time. We charge a one-off small £20 booking fee. That’s it - nothing more and no add ons when you pay the balance. E&OE. ABTA P6710.